Whenever You Get The Fish From Us, It's Fresh ! Salmon is not just popular and a favorite to fish lovers, but also enjoyed by those who rarely eat fish mainly because it contains healthful benefits. Having classified as an oily fish, it also has exceptional nutritional value containing omega-3 fatty acids, high protein and amino acid. This food is low in Sodium. It is also a good source of Thiamin, Niacin, Vitamin B6 and Phosphorus, and a very good source of Protein, Vitamin B12 and Selenium. Smoked salmon is a preparation of salmon, typically a fillet that has been cured and hot or cold smoked. Due to its moderately high price, smoked salmon is considered a delicacy. Although the term lox is sometimes applied to smoked salmon, they are different products. 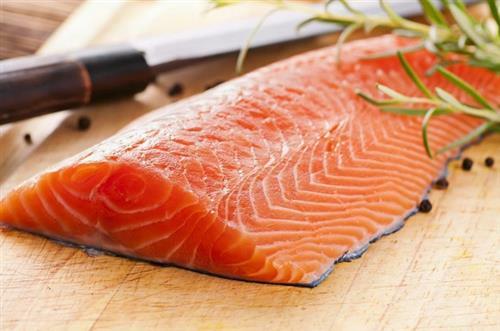 Smoking is used to preserve salmon against microorganism spoilage. During the process of smoking salmon the fish is cooked and dehydrated which kills and impedes the activity of bacteria.An important example of this is Clostridium botulinum, which can be present in seafood, and which is killed by the high heat treatment which occurs during the smoking process. Sashimi is a Japanese delicacy consisting of very fresh raw meat or fish sliced into thin pieces. Sashimi is often the first course in a formal Japanese meal, but it can also be the main course, presented with rice and miso soup in separate bowls. Japanese chefs consider sashimi the finest dish in Japanese formal dining and recommend that it be eaten before other strong flavors affect the palate. Sashimi and sushi are the best known ways to serve raw fish. The word “sashimi” used to mean any sliced up food, including vegetables and tofu. The food is cut into bite-size pieces, either with the grain or against it, always with the aim of getting the best taste. The increasing popularity of sushi around the world has resulted in variations typically found in the Western world, but rarely in Japan (a notable exception to this is the use of salmon, which was introduced by Bjorn Eirik Olsen, a Norwegian businessman tasked with helping the Norwegian salmon industry sell more fish in the early 1980s). Such creations to suit the Western palate were initially fueled by the invention of the California roll, cucumber, and avocado. Norway roll is another variant of uramakizushi filled with tamago, imitation crab and cucumber, rolled with shiso leaf and nori, topped with slices of Norwegian salmon, garnished with lemon and mayonnaise. OSLO — Atlantic salmon farming companies are designing huge pens to raise fish in the open seas in a radical shift from calm coastal waters where marine lice have slowed growth of the billion-dollar industry. Norwegian Seafood Exports to Exceed NOK 90 billion in 2016e same period last year. NORWAY - Entering the last month of 2016, the Norwegian seafood industry year to date exports totalled NOK 83.2 billion. By value this represents an increase of NOK 16 billion compared to the same period last year. What makes young salmon decide to leave their rivers and head out to Sea has been a hot topic for decades now. Current research from Umeå University in Sweden shows that the young salmon's desire to migrate can partly be limited by anxiety. The health benefits of salmon include proper cardiovascular health, correct muscle and tissue development, boosted eye health, and efficient body metabolism. The levels of environmental pollutants are higher in Norwegian wild salmon than in the country’s farmed salmon, according to a new study. One of the world’s largest salmon producers has announced plans to use feed containing microalgae to ensure that its fish contain high levels of long chain omega-3s. 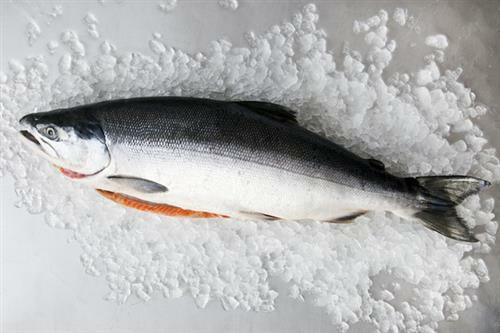 Leroy will be using feeds containing AlgaPrime DHA, in a range of formulas produced by BioMar, from next month in order to produce salmon products rich in healthy fatty acids, while reducing its need for fish oil. Leroy states that this cooperation is an important step taking responsibility for building an even more sustainable aquaculture. 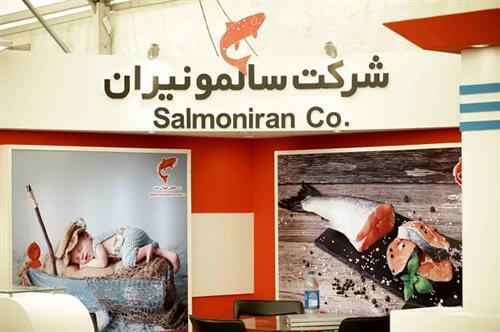 With 24 years of unrivaled activities in the field of import, packaging, processing and supply of marine products as a representative, distributer of several companies from New Zealand, Norway, Denmark, etc., in the production and packaging of salmon, tuna and other fishes with global trade quality, which they are all well known in maritime protein products history .